Thank you for your interest in volunteering at AIDS Action! If you haven't already, please visit our list of programs that are currently looking for volunteers here before completing this application. Please fill out this application form completely and accurately. If selected, we require all volunteers to complete a CORI criminal background check, and for some positions an occupational health screening before beginning service at AIDS Action. Questions 2, 3, and 4 ask for optional information used for statistical purposes only. Your answers will not affect your ability to volunteer at AIDS Action. Please list your availability Monday-Saturday or indicate your schedule is open. Additionally, please check the hours for each program you are interested in to be sure it matches with your availability. Mondays  Please make at least 1 selection from the choices below. Tuesdays Please make at least 1 selection from the choices below. Wednesdays  Please make at least 1 selection from the choices below. Thursdays  Please make at least 1 selection from the choices below. Fridays  Please make at least 1 selection from the choices below. Saturdays Please make at least 1 selection from the choices below. What are you looking for in a volunteer opportunity? Please say a little about your interest in the programs you listed. Please list any relevant experience. Where did you hear about AIDS Action's volunteer opportunities? Please make at least 1 selection from the choices below. May we mention AIDS Action if contacted? In your work with AIDS Action Committee, you will be exposed to a range of confidential matters and information. Confidentiality is vital to AIDS Action Committee. I. Client information is confidential and is to be shared only among direct care providers, except in cases where there are legal considerations involved in the client’s care. At no time shall the identity, diagnosis, or condition of a client be discussed inside or outside of AIDS Action Committee, except in a context relative to the client’s care (a client of AIDS Action Committee is someone who receives any service from AIDS Action Committee). II. Proprietary information of AIDS Action Committee is confidential and is not to be shared outside of the building. Proprietary information includes technical data, copyrights, trade secrets, and mailing lists (including client, employee, and volunteer addresses and phone numbers). Please be aware that AIDS Action Committee owns proprietary information, and you cannot use it without express written permission of a member of the senior management team. If you have questions as to whether something is proprietary information, please check with your supervisor. III. Information shared by colleagues and/or coworkers, including clients who are volunteers or employees, must be afforded a certain level of discretion and respect for a person’s privacy. 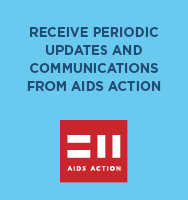 This includes any information shared by people with colleagues about their personal life or matters at AIDS Action Committee. All employees, volunteers, and consultants of AIDS Action Committee must sign this written confidentiality agreement. If you are unsure about the confidential nature of specific information, you should ask your supervisor for clarification. I have read and agree to abide by the above policy. I further understand that the violation of this confidentiality policy may subject me to discipline, including dismissal and possible prosecution. By checking this box I verify that the information on this application is true and correct. I have read, understand and agree to the terms of the AIDS Action Committee's confidentiality policy . Yes, I understand AAC's confidentiality policy. We make every effort to reply to applicants in a timely fashion, but please allow 1-2 weeks for a staff member to follow-up with you regarding your application.